Early rumours surrounding The Bachelorette proved true with singer Sophie Monk choosing married father of 4 Stuart Laundy, 44, over Victorian vineyard manager Jarrod Woodgate, 31. The finale in Fiji saw Monk choose the wealthy Sydney publican whom she had previously met prior to the series. But to choose Laundy she had to let down Woodgate, as dictated by the show’s crushing format. “In my head, I know you’re everything. But my heart belongs to someone else,” she revealed. Woodgate left in tears, making a long walk on an island beach. But he also posted a classy response on social media (see below). The finale wrapped a runaway success for TEN, drawing strong ratings and massive media coverage. Monk, who escaped to Thailand to avoid the press, recently broke down in tears on radio after negative social media comments. “I’m just (being) smashed on social media about it,” she said last week. “I can’t choose everyone. I can only choose one person. Yesterday press reports were already speculating how long the romance was lasting post-production, with rumours of another woman, as well as questions around possible IVF for the couple. Monk, who had maintained she signed on for the series because true love had evaded her, is arguably well positioned for a myriad of career opportunities. TEN has already announced casting for The Bachelor and has a Bachelor in Paradise series to add to the mix in 2018. Well I guess the magazines will be busy the next few weeks. I can see the headlines now. Stu and Sophie have broken up, Stu and Sophie to get married. Sophie is pregnant with a circle around the stomach. Stu comes across as a lightweight and not that genuine. Gotta hope Sophie comes through this, her track record and dating seems to have been many short term relationships. I haven’t watched the series, but my daughters have and we watched the finale together..
Now what was all of this about that I missed totally! oh! Maybe it’s because she is rumoured to support Bill Shorten. The moment where Jarrod walked away was so awkward… why they kept the footage going for almost two minutes is beyond me, it was excruciating!! Poor old Jarrod – it was always going to end in tears. It was obvious from a long way back who Sophie was going to choose. Yes, that dejected plod along the beach was pitiful – Jarrod sure needed a hug in that moment. 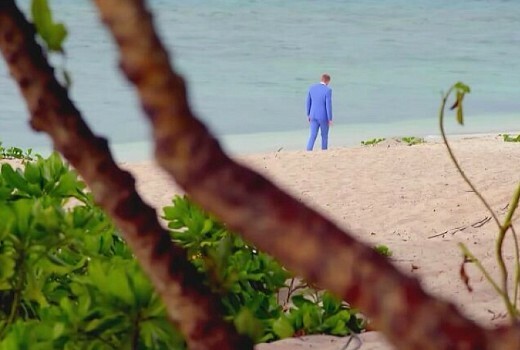 I almost expected him to just walk on into the ocean and not come out. So Sophie picked the millionaire….. im shocked….. not. More like mum and dad’s pennies.